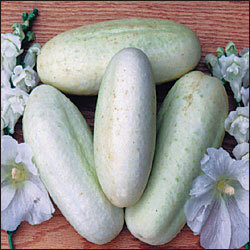 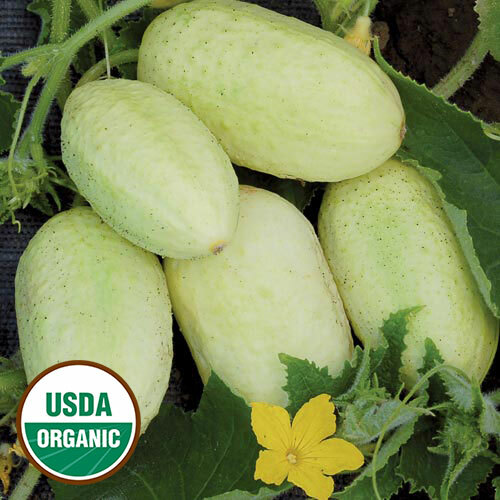 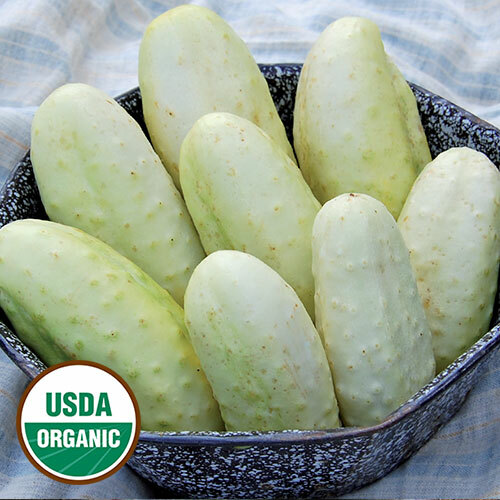 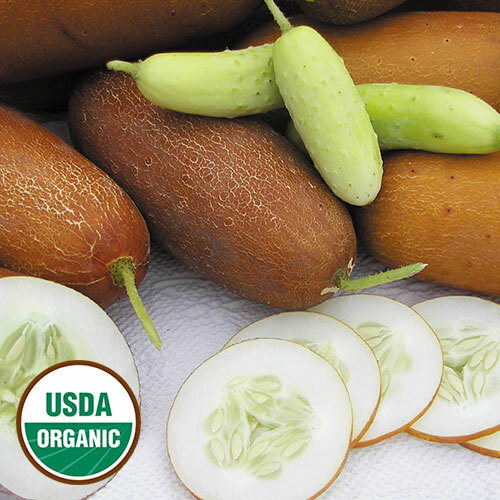 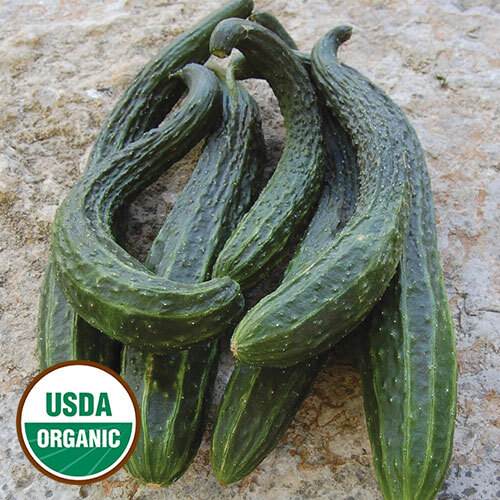 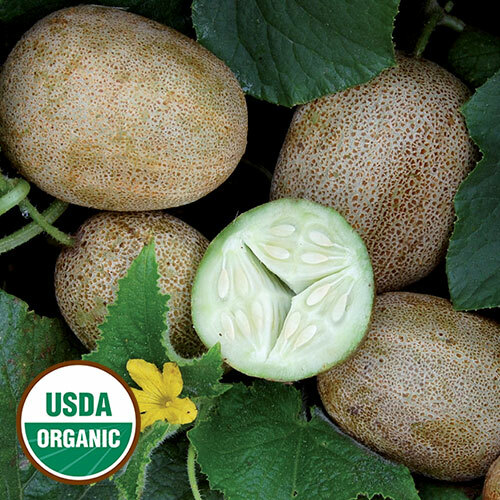 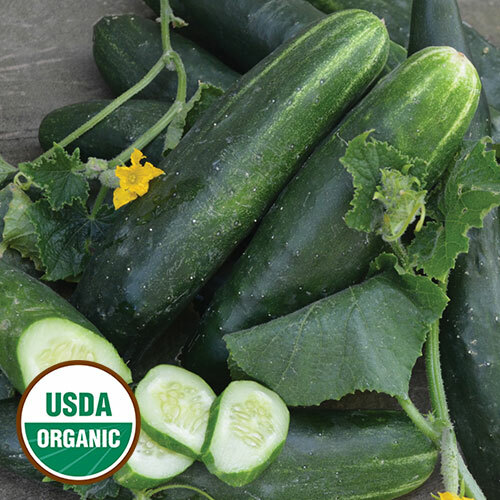 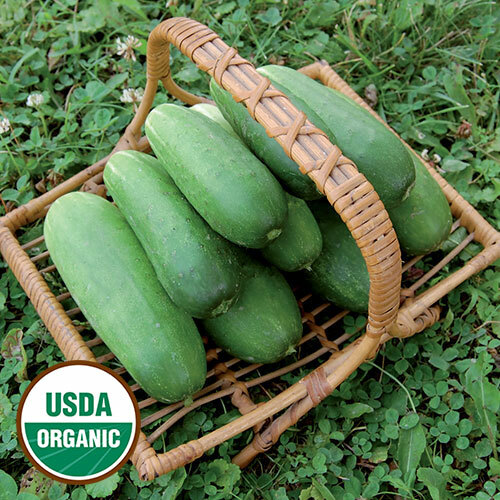 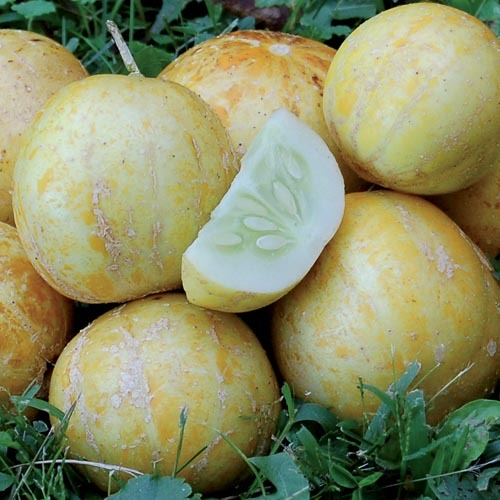 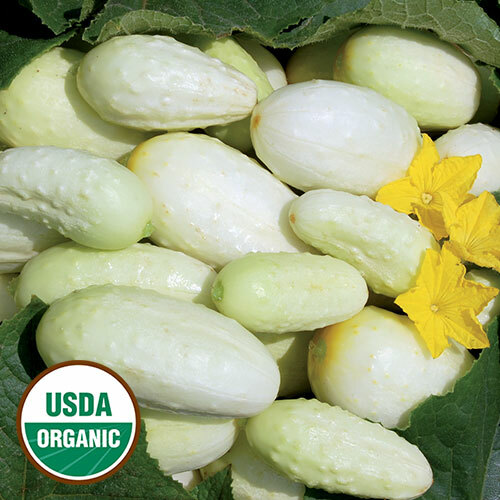 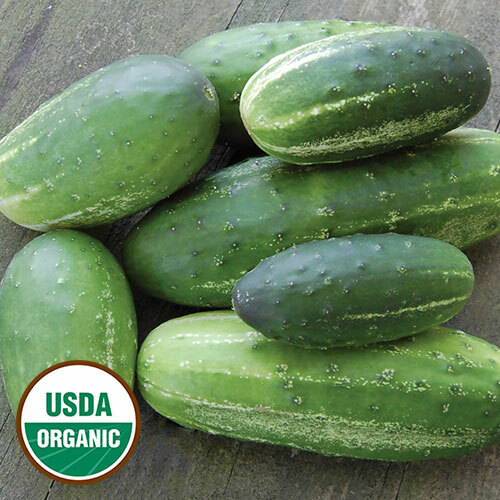 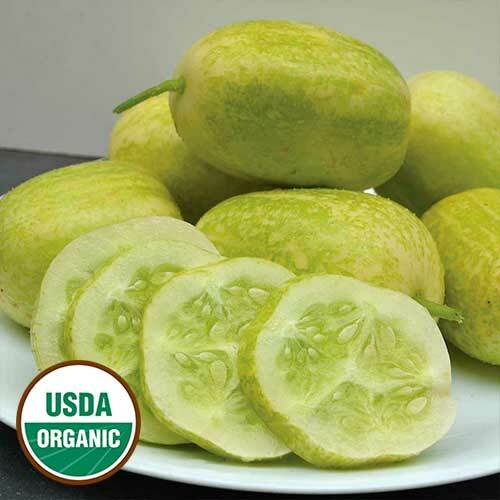 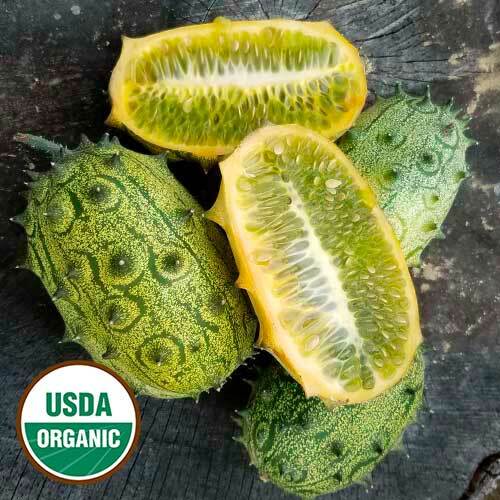 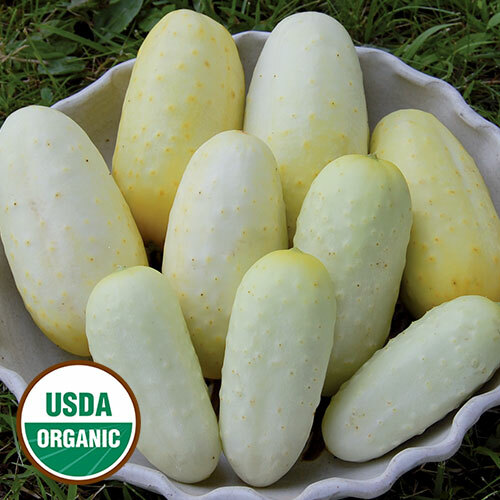 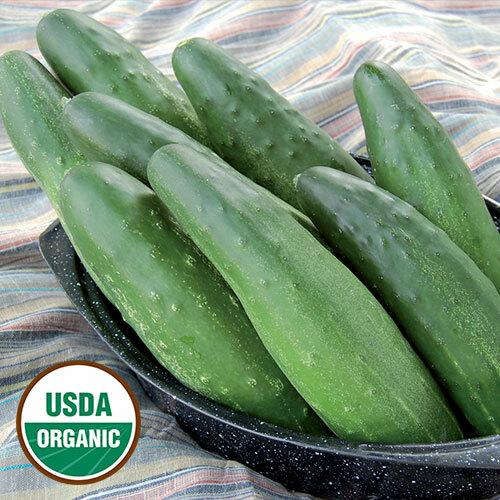 Shop Seed Saver Exchange’s extensive selection of heirloom and organic cucumber seeds and discover why this gourd in so popular. 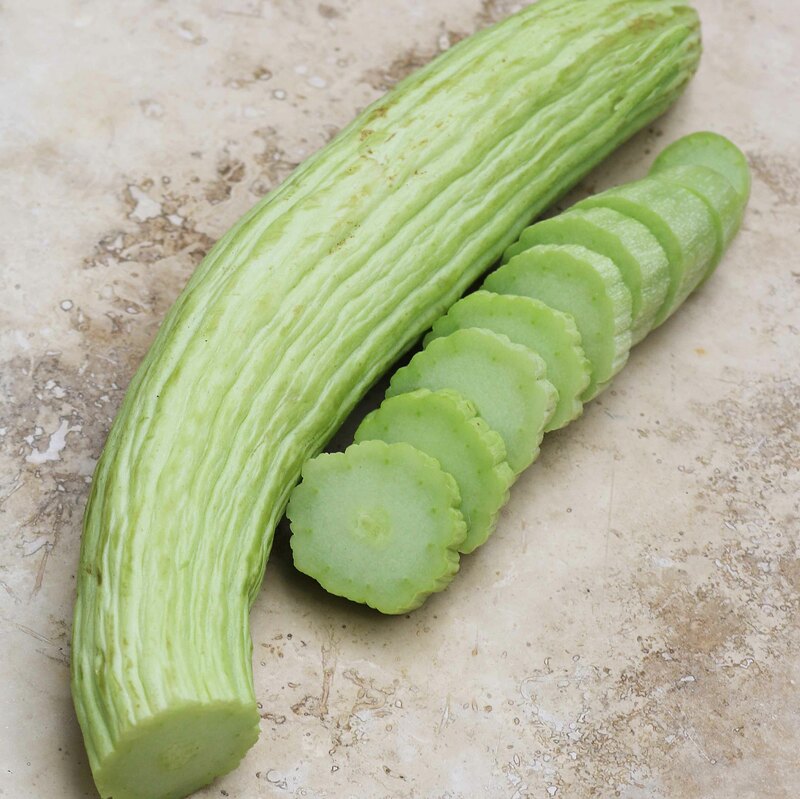 Easy to grow and, of course, delicious to eat, the cucumber pleases the palate. 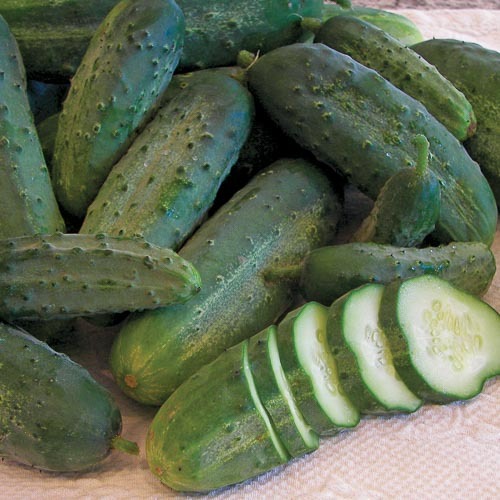 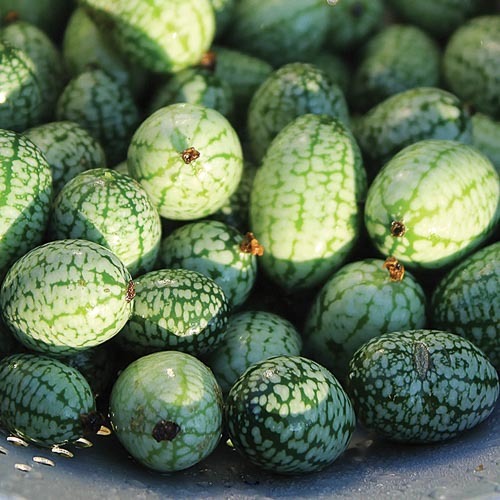 Choose from a traditional pickling “cuke” or branch out to the more exotic Mexican Sour Gherkin. 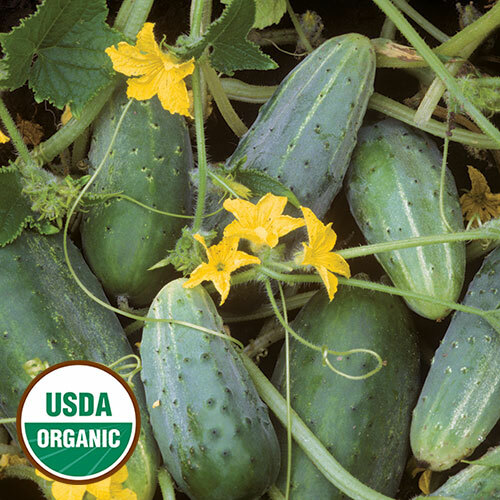 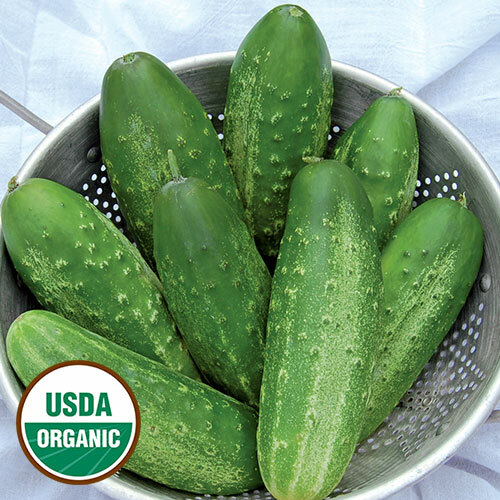 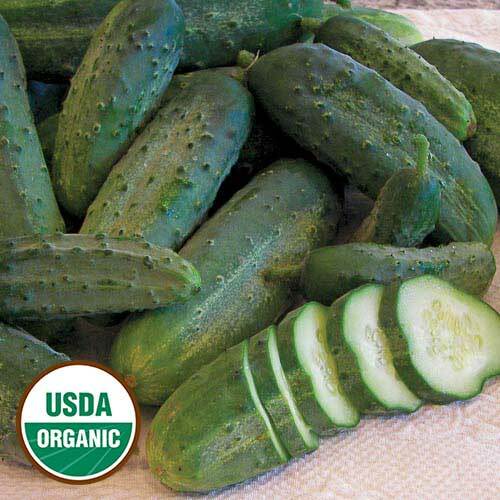 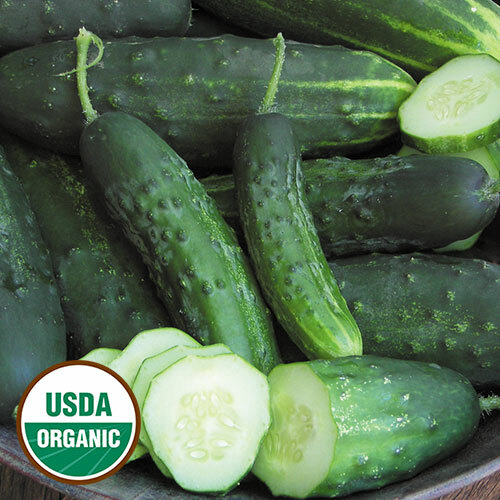 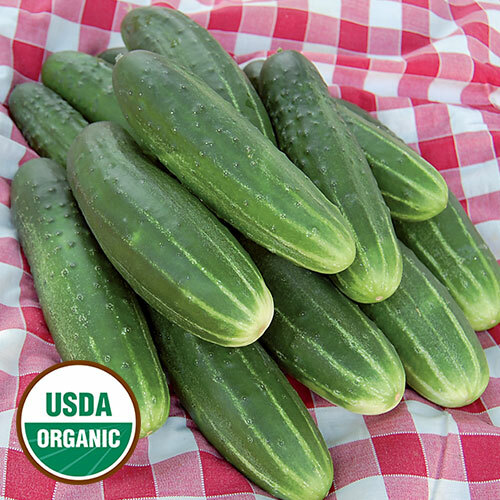 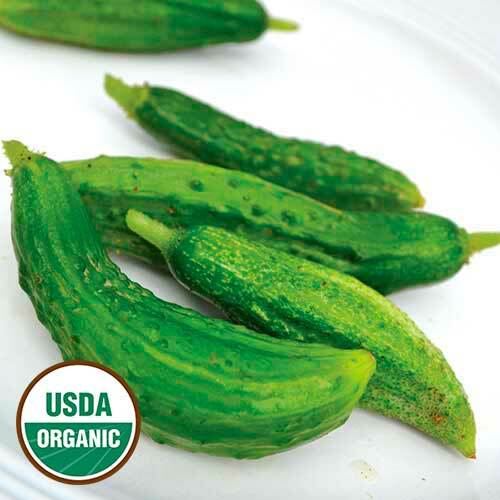 Whether your goal is fresh eating or pickling, you’ll find all the best heirloom cucumber seeds right here.